TUCSON, AZ (Tucson News Now) - The trial for the Tucson woman accused of intentionally burning her child began this week. Samantha Osteraas is facing two counts of child abuse after her 5-year-old daughter suffered severe burns in December 2016. A jury was seated by Wednesday afternoon and opening statements from the prosecution and defense followed. Prosecutors previewed their case with a description of the little girl who suffered third-degree burns on more than 70 percent of her body. She recovered in the pediatric intensive care unit over four months and needed multiple surgeries. Burns to her feet were so bad, all ten toes had to be amputated, according to prosecutors. They claimed jurors may never know why this happened to the little girl, but they believe evidence will show that Osteraas is the only person who could be responsible for this and that she delayed in finding her daughter appropriate help. 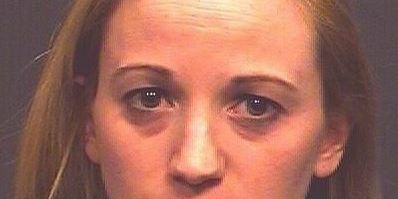 According to court records, Osteraas said she didn’t realize the bath water was that hot. Investigators said the water was almost 130 degrees and determined the burns were not the result of an accident. The Arizona Department of Child Safety removed three other children from the home. In its opening statement, the defense agreed with prosecutors that the situation was horrific. In fact, Osteraas' own attorney said the pictures of the little girl were the worst he’d seen in 25 years. However, the defense stressed that does not make this situation a crime. Along with a brief timeline of the event leading up to first responders arriving at the home, the defense outlined the burden of proof threshold that needs to be met for a criminal case. Osteraas' attorney reminded jurors of the presumption of innocence and asked them to keep an open mind throughout the prosecution’s case. With opening statements complete, the state called its first witness. Detective Jeremy Butcher, who was a patrol deputy at the time of the incident, described the home, the defendant and the child as he was the first person to arrive on scene that night. As prosecutors presented pictures on a projector, Butcher explained what he experienced that night and what he noticed in the pictures. Some of the photos showed the little girl with bright red, almost purple, legs. Butcher said the girl never spoke while he was there, but he could tell her breathing was labored. While in jail, Osteraas was assaulted by two inmates at the Pima County Jail. Authorities said the attackers referenced Osteraas' injured child and threatened to kill her. Osteraas was offered protective custody when she was first booked, as her charges involved a child and extended media coverage. She reportedly declined the protection. After the attack Osteraas requested the protective custody and was granted it. The case has been followed closely by many in Tucson. In April 2013, records show the child in this case was neglected by her biological parents. She was removed from the home. The allegations were substantiated. In January 2015, DCS received a report that a caregiver neglected the child. An investigation revealed the claims were substantiated. Osteraas fostered the little girl and eventually adopted her, according to her attorney.